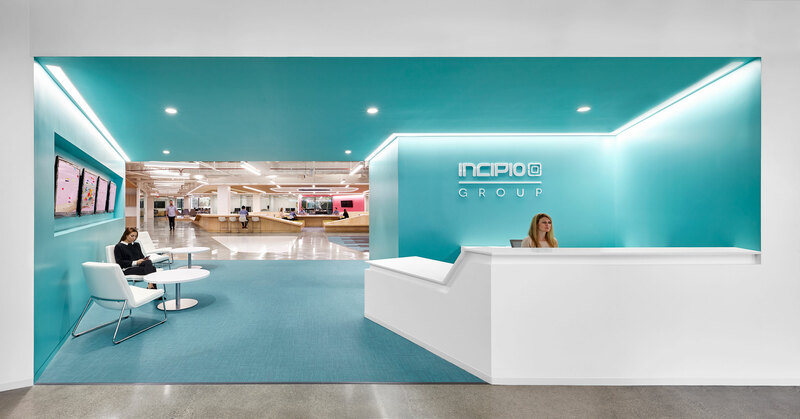 As one of the industry’s most prominent mobile technology-solutions companies, Incipio Group has created a new headquarters (HQ) to empower its growing staff in the heart or Orange County. The HQ serves 300+ employees daily and operates as a control center for the company’s eight offices worldwide, allowing Incipio Group to reach over 50,000 retail doors and customers globally. An extensive linear display-wall connecting the lobby to the core workspace, designed to showcase an array of the company’s high-designed products, such as phone and tablet cases, power and connectivity solutions, laptop sleeves, backpacks and luggage. At the HQ’s core, there is a large wooden sculptural wooden structure which pays homage to the Incipio Group brand. 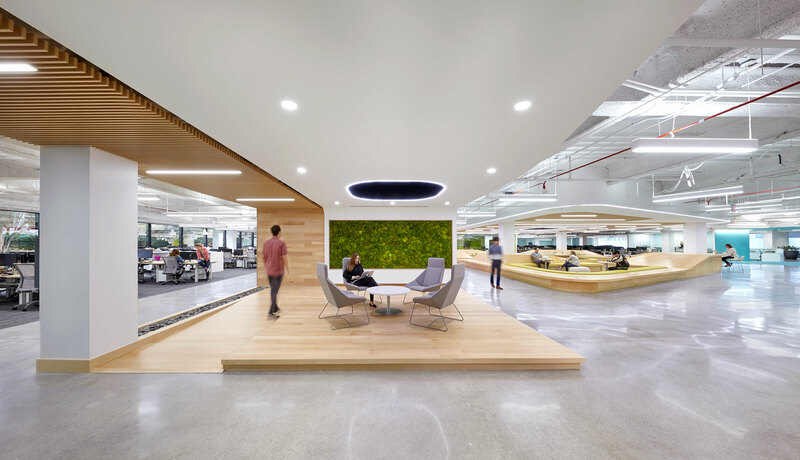 Throughout the space, materials consist of Baltic Birch wood, expansive glass partitions and white surfaces with ascents of contrasting vibrant hues that align with Incipio Group’s dynamic culture. 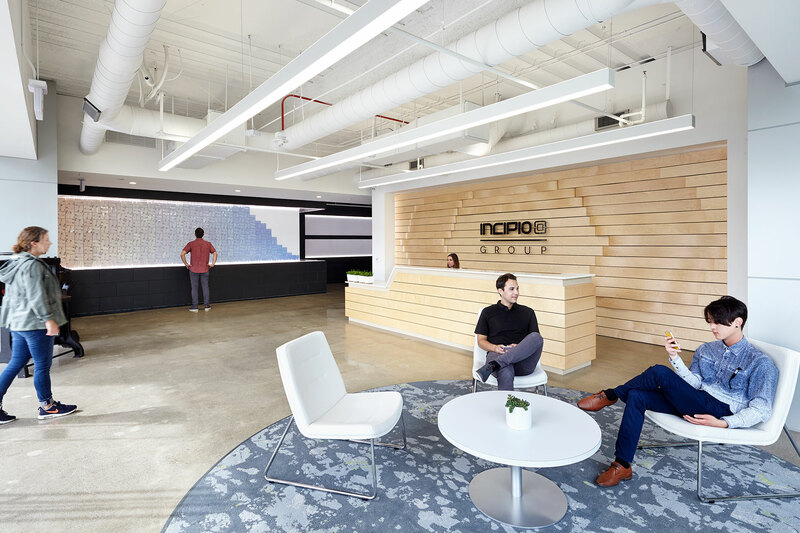 A successful example of design-build delivery, the Incipio Group HQ allowed our team to serve as both the architect of record and general contractor for the project.